Nonferrous metal, Rare metals, Rare And Noble Metal, Metal powder. Nanometer TiO2 Series, Nanometer SiO2 Series,Nanopowder,Graphene. Production of tin nanometric powders by hydrogen DC claret arc evaporation. Gerhold Chemetals Co., Ltd is a German company founded both in Germany and China in 1997. Gerhold Chemetals Co., Ltd is a German company founded both in Germany and China in 1997, focuses on research and development of Metallic powders, Metal Compounds nano powders. We can customize products according to customers’ special requirements. Our technologies are from Elektrotechnik University, Aachen University, München University and Beijing University. In worldwide market, Gerhold Chemetals has sold products to more than 50 countries. We will keep on developing and enlarging business by our advantages. The Carbonyl Iron INN powder is obtained by reacting CO with iron under high temperature and high pressure to form a 5 carbonyl iron oil, which is obtained by low pressure separation. It can be shipped after annealing and anti-oxidation treatment. When the temperature is 200 °C. The basic structural unit of feldspar is a tetrahedron, which consists of four oxygen atoms surrounding a silicon atom or an aluminum atom. Each such tetrahedron shares an oxygen atom with another tetrahedron to form a three-dimensional skeleton. Large radius alkali or alkaline earth metal cations are located in large voids within the framework with coordination numbers of 8 (in monoclinic feldspar) or 9 (in triclinic feldspar). 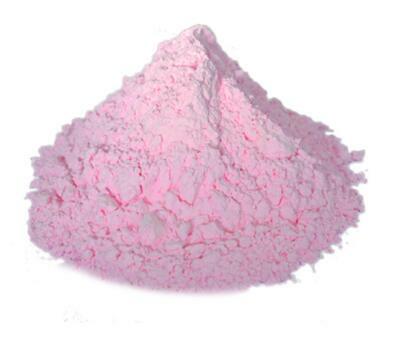 Physical and chemical properties of Erbium oxide: molecular weight 382, ​​Er2O3 pink powder, density 8.64, melting point 2378 °C. The boiling point of 3000 ° C. Do not dissolve in water, soluble in acid. A platinum powder of micron size with a spherical shape and a polygonal shape. The solid density is 1.0 to 4.0 g/cm3. The average particle size is 1.1 to 1.7 μm. The specific surface area is 5 to 15 m 2 /g. Dissolve sponge platinum with aqua regia to obtain chloroplatinic acid solution, adjust acidity, add dispersant, heat stir, add reducing agent (hydrazine hydrate, etc. ), let stand cooling, wash and dry to obtain average particle size 0.5μm Fine platinum powder. Boron has the largest volumetric heat, and its weight is second only to helium. Slightly soluble in nitric acid, insoluble in water. Mr10.81. ρ = 2.37 g/cm 3 (amorphous); 2.34 to 2.46 g/cm 3 (crystal). The melting point is 2177 to 2301 ° C; the boiling point is 2550 to 2658 ° C.
Stannic oxide SnO2 is also an excellent transparent conductive material. It is the first transparent conductive material to be put into commercial use. In order to improve its conductivity and stability, it is often used for doping, such as SnO2:Sb, SnO2:F, etc. Both SnO2 and its doping have a tetragonal rutile structure. Red is O, black is Sn, and SnO2 is composed of two Sn and four O atoms. The lattice constant is a=b=0.4737nm, c=0.3186nm. , c / a = 0.637. O2-=0.140 nm, Sn4+=0.071 nm. Lead(ii) thiocyanate is a chemical with a molecular weight of 439.5296. Lithium iodide is a chemical substance with a molecular formula of LiI. White crystal, easy to deliquesce, see light or long-time color yellow; soluble in water, alcohol and acetone, ether; when melted, it is corrosive to glass and ceramic; heat to 73 ° C loses one molecule of crystal water, loses to 80 ° C Molecular crystallization of water. It can form a complex with a hydrocarbyl lithium and acts as a stabilizer.